A classic quill wing style dun. A traditional pattern and technique that gives one of the best footprints and silhouettes of an adult mayfly. 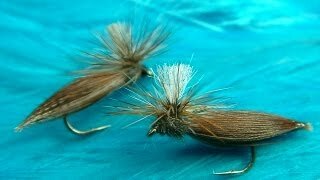 Fly Fishing Alumine River (Short Video).